Sir I am not able to understand this code. Kindly explain it in detail. What is your objective in writing this code? Are you just trying to learn how to glow an LED or you are looking for something else? What is the objective of the code? It looks like it is trying to do lot more then just glow one LED. From where have you taken this code? Knowing the source will help us understand the context better. 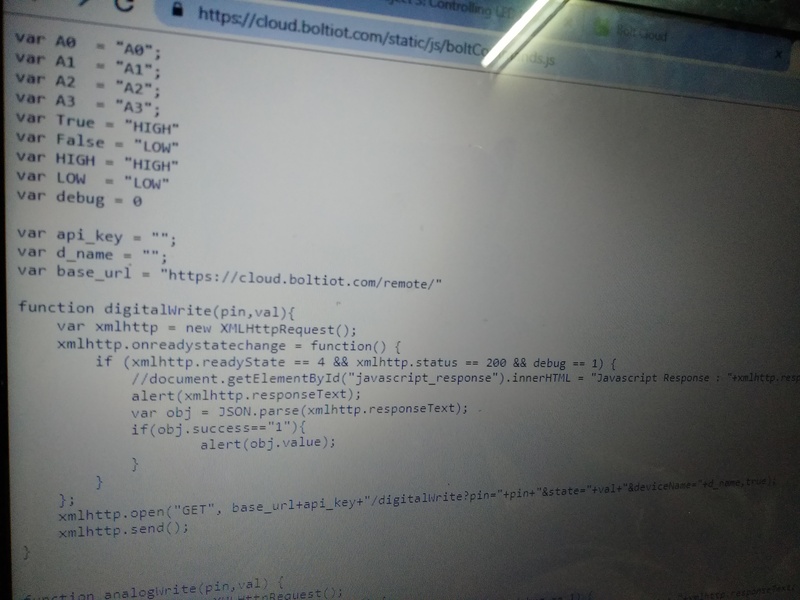 @arorasimran006 The code what you have shared is just a JS code to send a remote API call to do a DigitalWrite operation for your Bolt device. Any context for the code will be really helpful.